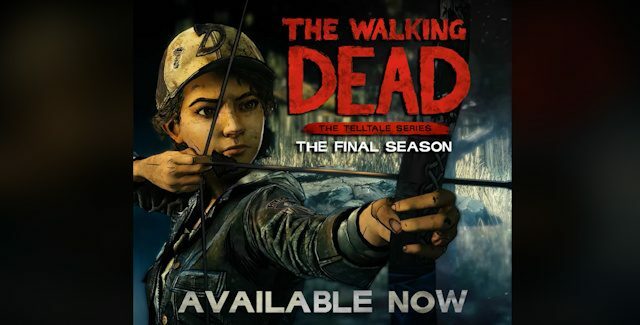 The The Walking Dead Game: The Final Season trophies guide lists every trophy for this PS4 graphic adventure game and tells you how to get and unlock them all. In the The Walking Dead Game: The Final Season trophy guide we’ll show there are 49 Trophies (28 Hidden Trophies) that can be earned in the PS4 version. Earn Bronze (36), Silver (11), Gold (1), and Platinum (1) Trophies to increase your Gamer Level. 1. End of the Road (Bronze) — Completed Act One. 2. Fitting In (Bronze) — Completed Act Two. 3. Protector (Silver) — Completed Act Three. 4. Scavenger (Silver) — Found all Episode One collectables. 5. To Make It Look Nice (Silver) — Placed all Episode One collectables. 16:46 – Trophy: Where’s the Candy? 6. Tickle Monster (Bronze) — Tickled AJ. 7. Nothing Wasted (Bronze) — Used ALL traps. 8. Social Butterfly (Bronze) — Talked to EVERYONE at dinner. 9. Lost Love (Bronze) — Found Heart Graffiti. 10. Upstream (Bronze) — Speared ALL fish. 11. Where’s the Candy? (Bronze) — Hit all Pinata Swings. 12. Rabbit Season (Bronze) — Shot ALL rabbits. 13. Good Girl (Bronze) — Rosie. 6:55 – Where’s The Candy? 14. We’re Staying (Bronze) — Completed Act One. 15. Old Ghost (Bronze) — Completed Act Two. 16. Defender (Silver) — Completed Act Three. 17. Gatherer (Silver) — Found all Episode Two collectables. 18. Personal Touch (Silver) — Placed all Episode Two collectables. 19. Be Prepared (Bronze) — Made sure everything was ready. 20. Botanist (Bronze) — Green Thumb. 21. Edible (Bronze) — How’d it taste? 22. Great Girl (Bronze) — Aw, Rosie. 23. Sureshot (Bronze) — Didn’t miss once. 24. Bonded (Bronze) — Platonic. 25. Moving Fast (Bronze) — Teenage Romance. 26. Deadeye (Bronze) — Protected your turf. IMPORTANT NOTE: There are reports of glitchy achievements in episode 2. For “*Botanist*”, it is advised that you interact with everything in both rooms of the greenhouse. This includes the mushroom (collectible) two times, the pry bar (required), trowel, shovel, lawn mower, shears, as well as conversations with Ruby and Mitch. Do this before exiting to the science lab. In the 2nd room (science lab), interact with the venus flytrap (collectible), the test tubes, the blue beaker, the broken flask, the chalkboard and have optional conversations with Ruby and Mitch. Do this before finding the igniter and propane. The trophy named “Be Prepared” is reported to not unlock on PS4 at this time. 27. Whispers (Bronze) — Completed Act One. 28. Shoreline (Bronze) — Completed Act Two. 29. Leader (Silver) — Completed Act Three. 30. Hunter (Silver) — Found all Episode Three collectables. 31. Feels Like Mine (Silver) — Placed all Episode Three collectables. 32. Best Girl (Bronze) — Rosie! 33. Mercy (Bronze) — Did no harm. 34. Nightlight (Bronze) — Made sure they slept tight. 35. All-seeing (Bronze) — Let nothing slip by. 36. Did you lick it? (Bronze) — Remembered the good times. 37. Personal Space (Bronze) — Kept your distance. 38. As A Mouse (Bronze) — Was very sneaky. 39. Tally (Bronze) — Counted the days. 40. Red Water (Bronze) — Completed Act One. 41. Final Lesson (Bronze) — Completed Act Two. 42. Savior (Gold) — Completed Act Three. 44. Survivor (Silver) — Found all Episode Four collectables. 45. Home At Last (Silver) — Placed all Episode Four collectables. 46. Goodbye (Bronze) — Did all you could. 47. You And Me (Bronze) — Came full circle. 48. Promise (Bronze) — Said you’d never leave. 49. Lost And Found (Bronze) — Found Clem’s hat. Special thanks to Telltale Games, Maka & Powerpyx for the list, tips & guide videos. Please comment if you have any The Walking Dead Game: The Final Season trophy unlock tips of your own. Kudos will be given. – Thanks for visiting!